Ethanol output in the US rose 2.1 percent to 875,000 barrels a day last week, the most in 11 months, according to the Energy Information Administration. Output climbed for a second week while stockpiles of the biofuel sank 1.5 percent to 16.2 million barrels, the lowest level since Nov. 5, 2010, Bloomberg reported citing Energy Department’s data. 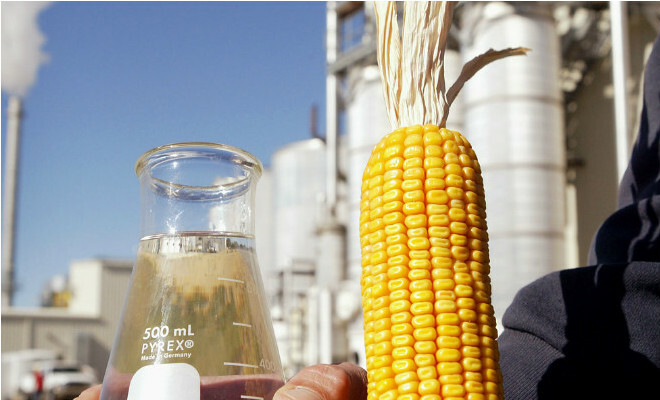 Data compiled by Bloomberg show that returns to make the biofuel from a bushel of corn are near the highest levels since 2011.